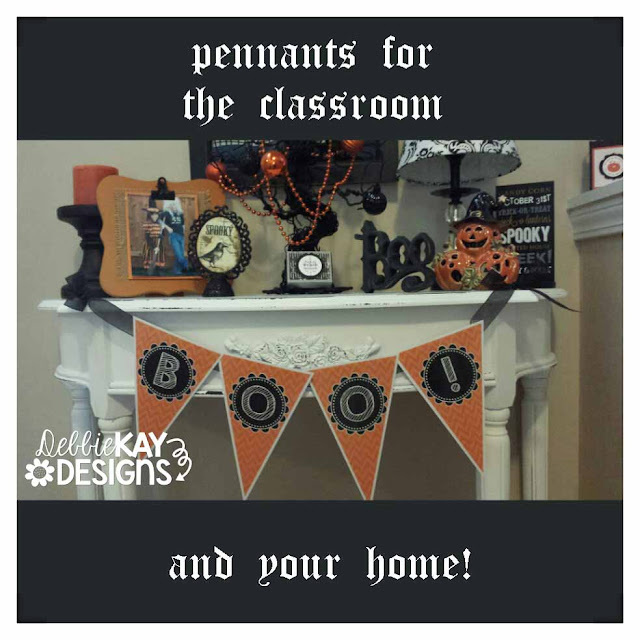 debbie kay designs: Pennants for your home! I just finished decorating my entry way table for Halloween. Well, that's not actually true... 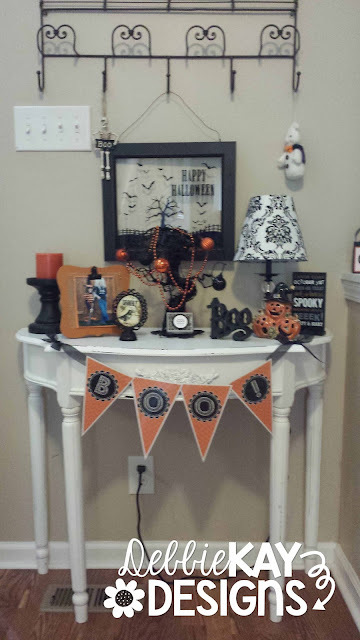 I decorated it 2 weekends ago (I got a little excited), but today I put the finishing touch on it! I use these all the time in my classroom. See here and here, but I'm so excited about the idea of also using them at home! 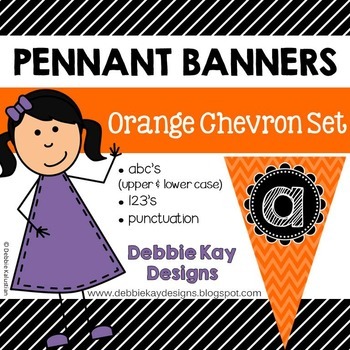 I went with the Orange Chevron set, but wouldn't these look so cute for Halloween in Purple Chevron, or a combination of the two? 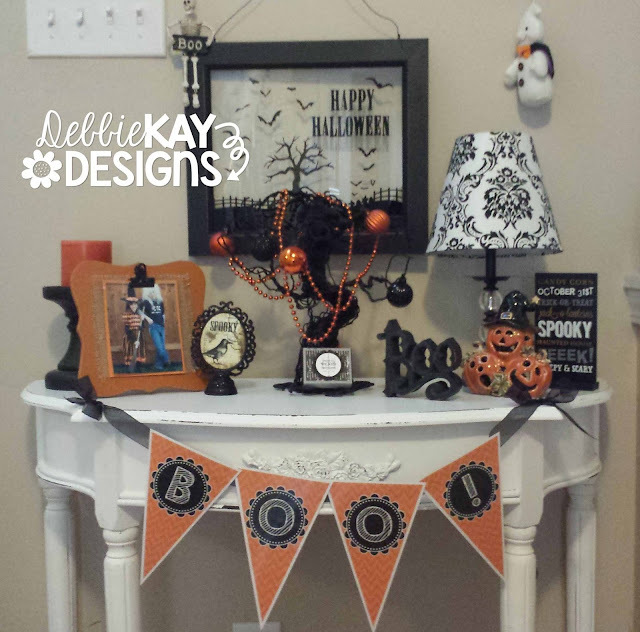 And I love to be able to incorporate punctuation. What kind of Boo! doesn't have an exclamation point, right? I'm already dreaming about Thanksgiving and Christmas banners for the fireplace! 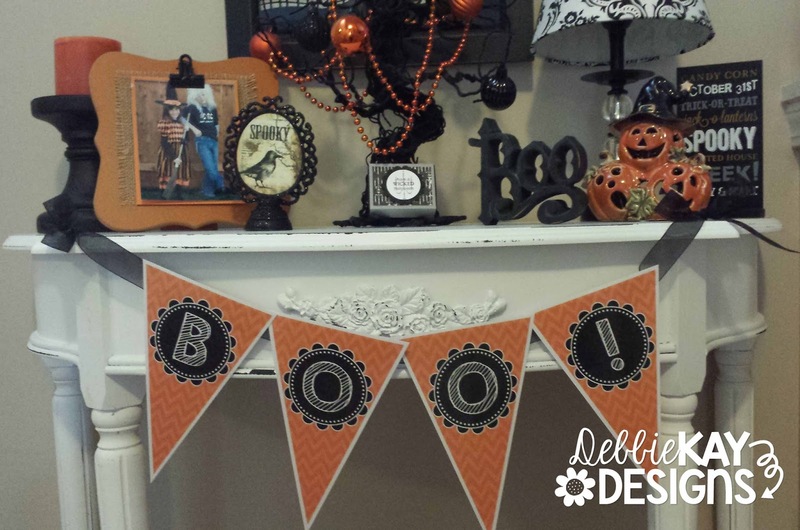 I hope this inspires you to try banners in your own home. 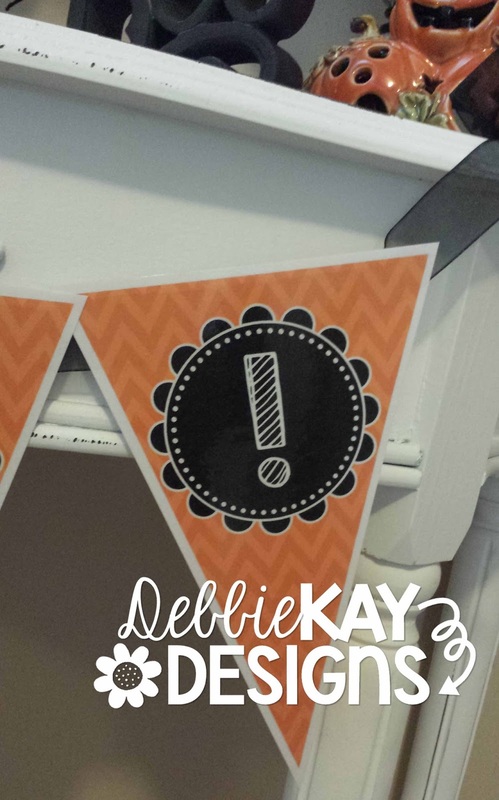 Click the picture above to see my Orange Chevron Pennant Banners set. To see my entire collection of pennant banners available in TPT, click here!